Svengoolie Godzilla Interview! His favorites and why? 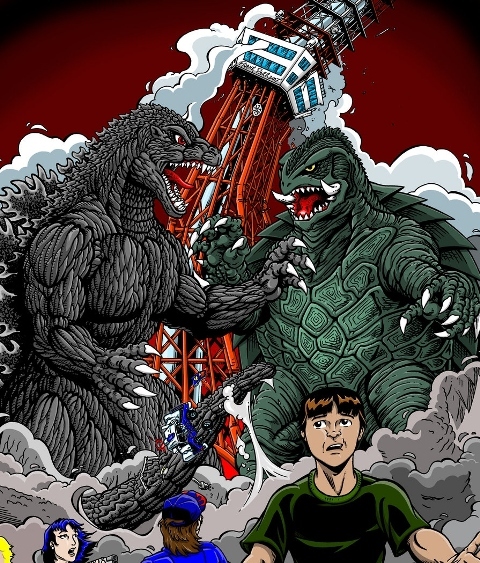 DAVE: Do you consider yourself a fan of Godzilla and Japanese monster (kaiju) films? SVENGOOLIE: I most definitely am! I am no expert on them, as I know so many fans are, and I haven’t kept up with all the films, but I have always enjoyed them. Back when I was at WFLD (Chicago), they were a big part of our film library. Now, since it’s so hard to get them, we aren’t able to show as many. I’ve shown films from three phases of Godzilla; ones from the early years, GODZILLA 1985, and the American Tri-Star entry starring Matthew Broderick. DAVE: What was the first Godzilla film you ever remember seeing on the big screen and what are some of your early Godzilla memories? 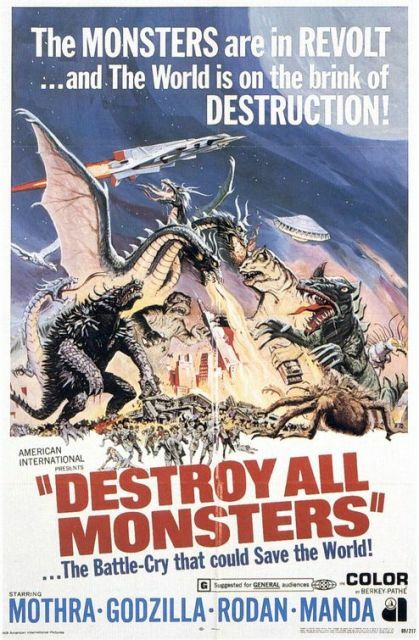 SVENGOOLIE: I believe the first big screen feature I saw was DESTROY ALL MONSTERS. The fact that so many giant monsters were featured, as well as alien enemies, was pretty fascinating to me. My earliest memories are, of course, seeing the original film and staying up late while turning the sound way down so I wouldn’t wake anybody up. That original 1954 GODZILLA was so powerful and terrifying to me. As I saw other films, the signature Godzilla roar and Ifakube’s famous “Godzilla March” became ingrained in my brain. DAVE: What would site as your top favorite Godzilla films? 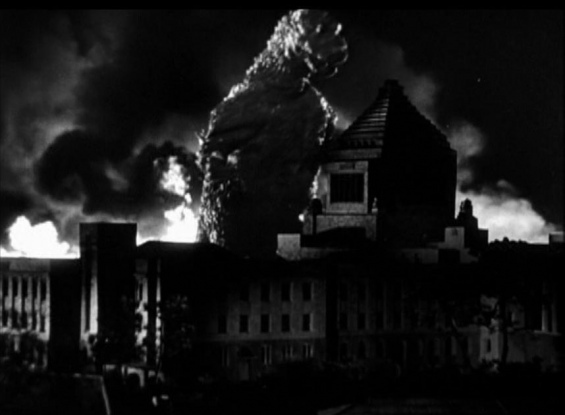 SVENGOOLIE: I have to say, the original 1954 GODZILLA is my favorite. I also like MOTHRA VS GODZILLA and, to throw in a more recent entry, GODZILLA: FINAL WARS. DAVE: What is your favorite Heisei (G films made between 1984 and 1999) Godzilla film? SVENGOOLIE: Other than GODZILLA 1985, which I believe was the first, I am unfamiliar with that series. I’ve heard that they have a darker feel to them – though, honestly, I enjoy the more kid-friendly, antic-filled previous (Showa) era, with Godzilla doing pro wrestling moves. 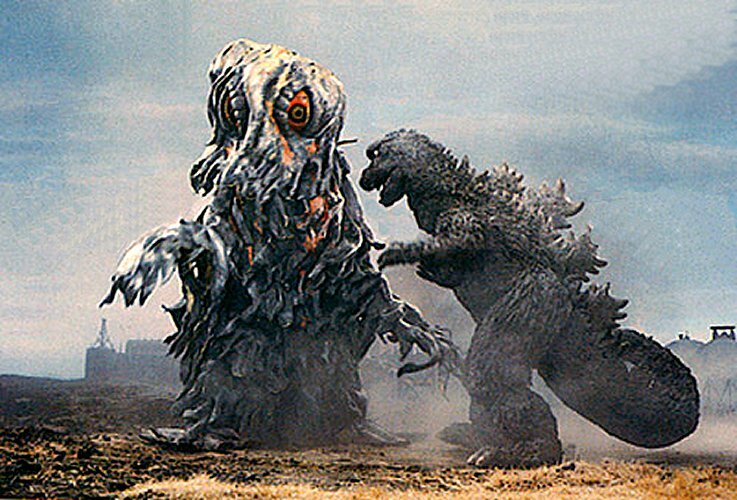 DAVE: Who was your favorite Godzilla enemy and favorite ally? 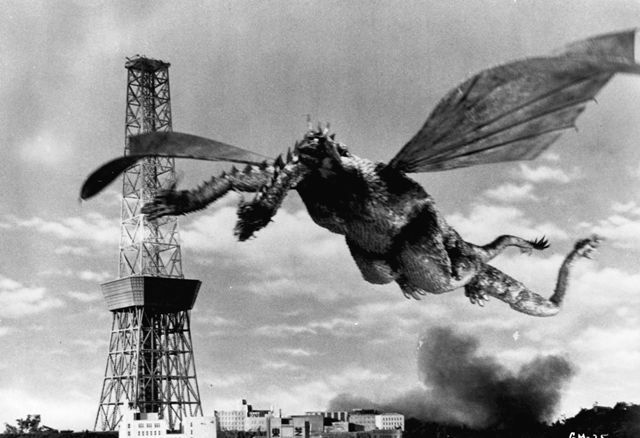 SVENGOOLIE: I like King Ghidorah as a favored foe (honorable mention goes to Hedorah the Smog Monster) and, as an ally, I like his enemy turned ally, Mothra (with an honorable mention to Jet Jaguar). King Ghidorah is also The Daves favorite Godzilla villain! DAVE: What non-Godzilla kaiju films do you enjoy? 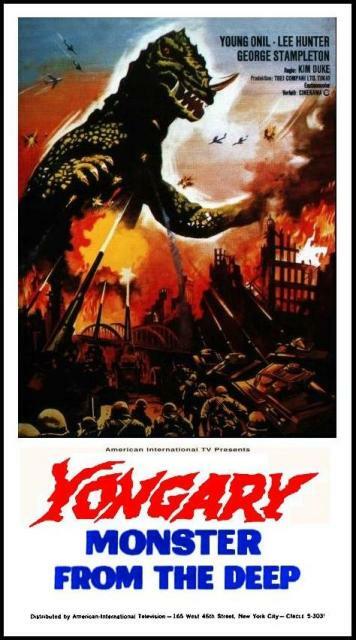 SVENGOOLIE: I like the Gamera films and also have a fondness for the Japanese/Korean film, YONGARY MONSTER FROM THE DEEP. DAVE: Who do you think would win in a no-holds barred battle between Godzilla and Gamera? SVENGOOLIE: I think Godzilla would have a tough fight as Gamera’s shell might be hard to crack, but would eventually slam-dunk him like a basketball and par-boil him into turtle soup! DAVE: Of all the Godzilla films you’ve hosted, which was your favorite? SVENGOOLIE: We had so many back in my “Son of”/WFLD days, it’s tough to choose. I would have to say GODZILLA VS THE SMOG MONSTER was always fun…Big G as an eco-warrior! And, as a close second (although not a G film), is MOTHRA! I really enjoyed doing that one a few years back. DAVE: If TOHO Studios gave you the rights to show any G film you wanted, which would you choose? SVENGOOLIE: Any film? I’d have to go with the one that started it all, 1954 GODZILLA. 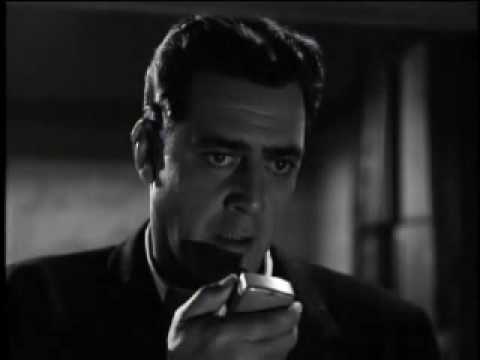 Ether the true original GOJIRA or GODZILLA: KING OF MONSTERS with Raymond Burr serving as American “Hamburger Helper” for the film. DAVE: If you could start a new series of G films, what direction would you take him? SVENGOOLIE: I’d go the route of “Abbott & Costello” but with contemporary horror like “Godzilla Meets Freddy Krueger,” “Godzilla Meets Jason,” “Godzilla Meets Adam Sandler”…. 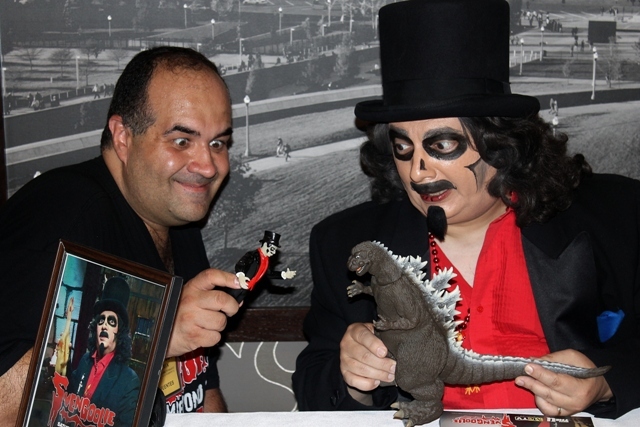 Special thanks to Svengoolie for taking time out of his busy schedule for this fun interview! This entry was posted in Atomic Monsters!, Horror Hosts, Stalking Svengoolie! and tagged Destroy All Monsters, G-Fest, Gamera, Godzilla, Godzilla (1954), Godzilla 1985, Godzilla vs. Mothra, King Ghidorah, Mothra, Rich Koz, Svengoolie, Tri-Star Godzilla, WFLD, Yongary: Monster from the Deep. Bookmark the permalink.